Frozen treats are my weakness. I'm consistently plagued by the fact that caramel salted ice cream doesn't have the nutrition of say, broccoli rabe. It's just unfair. Needless to say, discovering a dairy-free substitute made primarily of fruit is a dream come true. I haven't decided if I like this concoction better in ice cream or milkshake form... so that's the first-world problem I'm dealing with today. 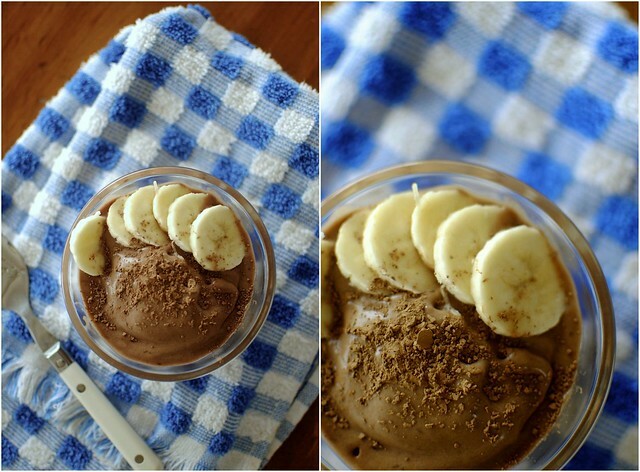 (Non-approximate) directions: Blend one frozen banana, a tablespoon (or four) of nutella, a teaspoon of cocoa powder, and a splash of almond milk in a food processor. Pulse until creamy and delicious-looking. If you can't resist a spoonful at this point in the process, no one will judge you. 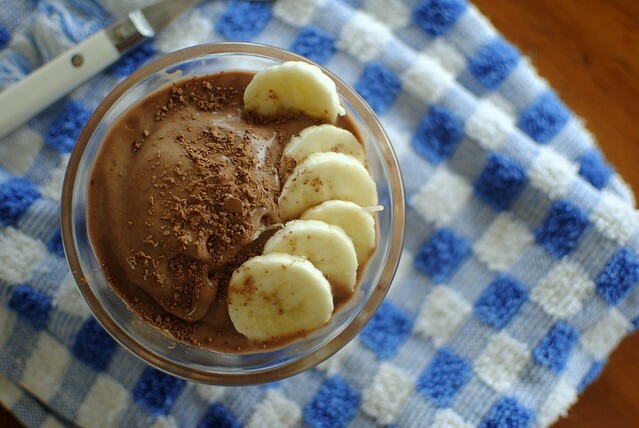 If you are using a blender instead of a food processor, make a milkshake instead by adding extra almond milk. It's not broccoli rabe, but it's a start. P.S. Everyday Musings is now on Facebook!